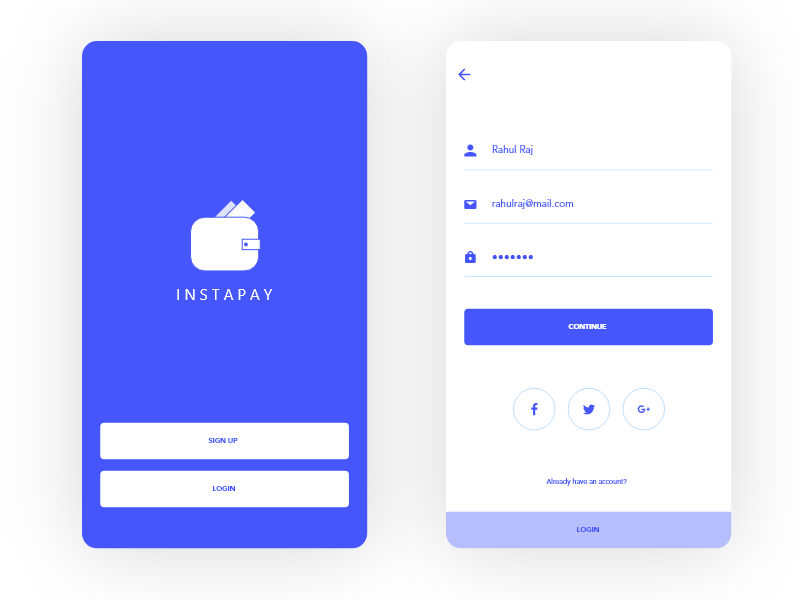 Instapay is going to be a concept project, for now I have posted the splash screen and sign up page. Soon I will be uploading the whole UI kit. Press “L” if you like the design and follow me to keep up with my recent work.